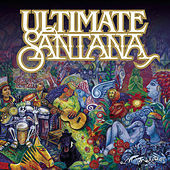 This career retrospective is a testament to the staying power Santana has achieved by collaborating with younger artists, including Rob Thomas ("Smooth"), Michelle Branch ("Game of Love"), and Mana ("Corazon Espinado"). Chad Kroeger of Nickelback gets the signature Santana guitar-and-chimes treatment on the new song "Into the Night," but his ode to a hip-shimmying lady is disappointingly limp. Much better is another new track featuring J Lo and Baby Bash, who knows how to put fuego in the mix. Santana classics "Oye Como Va," "Evil Ways," and "Black Magic Woman" are still stunners after all these years.